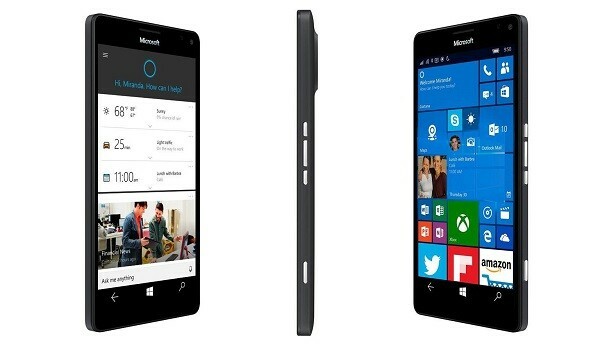 Microsoft Lumia 950 was announced in October 2015 and the phone will be available for sale from December 2015. Since its official launching date and until present, this has been one of the few smartphones from this brand to attract a wide number of positive reviews from client from around the world. The processor of the smartphone is Dual-core 1.82 GHz Cortex-A57 & quad-core 1.44 GHz Cortex-A53, Qualcomm MSM8992 Snapdragon 808, while the graphic processor is Adreno 418. The phone has an internal memory of 32 GB and 3 GB of RAM. The operating system is Microsoft Windows Phone 10 and the device has two amazing cameras. The 20 MP one is the main camera – it comes with Carl Zeiss optics, optical image stabilization, autofocus, triple-LED RGB flash– while the frontal 5 MP one is definitely not worth overlooking, either. Despite being equipped with a strong processor and impressive camera, and it has a total of 32 GB internal memory and 3 GB of RAM for saving files, this phone rarely ever crashes. As it happens to the best of devices, though, it can sometimes be attacked by a virus. In this case, you have to know how to hard reset the Microsoft Lumia.